For its latest creation dedicated to women, Franc Vila draws inspiration from 1940's and 50's timepieces with their atypical date displays. The Selenity Master Quantième Automatique revisits these original dial layouts by displaying the day and month in the dial centre, along with the date and moon phase at 6 o’clock. 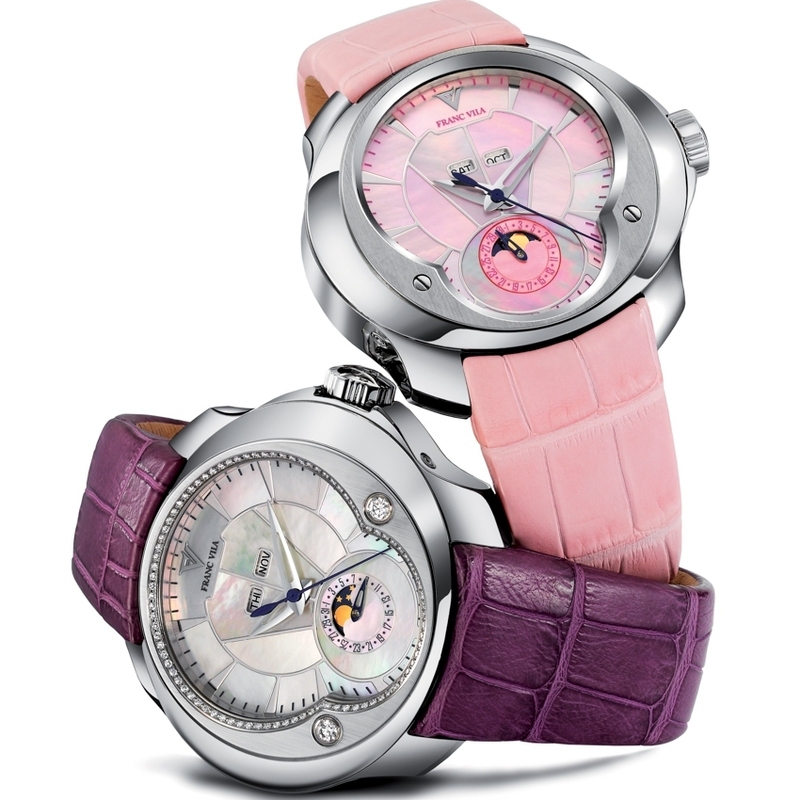 Available in two versions, this model bears the highly recognisable Esprit Unique signature of its creator. 88-piece limited series.